smART Class: Hearts, Eyes, Mermaids, and MLK!! Hearts, Eyes, Mermaids, and MLK!! We have been having lots of fun with HEARTS! 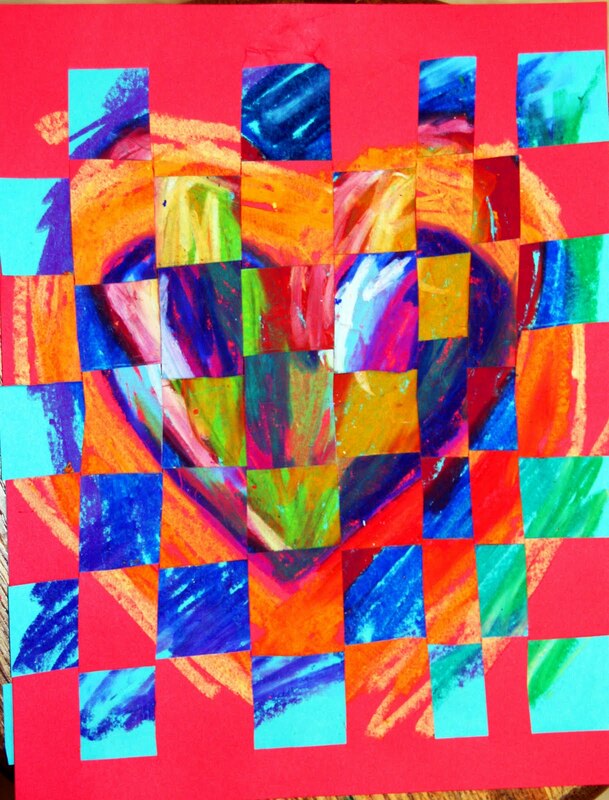 This week we have been making warm/cool color heart paper weavings! I gave them bright colored paper and they had to color one cool color heart and one warm color heart. Then they cut them and wove them together. Kinder and first have been studying how to add emotions to our artwork. They draw a lot of people in social studies and will be making self portraits later this year, so I thought this would be a great prep exercise! We did a group collage of different emotions. I tell them the letter “V” above the eyes makes them look mad. We scrunched our eyebrows and felt them on our faces. Then we felt our cheeks go up and down when we smiled and stopped. We drew Humpty Dumpty on tag board, and then they cut him into pieces like a puzzle. They traded puzzles with friends when they finished. 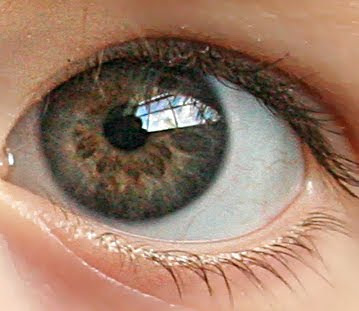 Okay, I am a freak about eyes. I have just started this exercise with second grade, but am going to do it with 3rd-5th too. We looked at lots of pictures of eyes first. They learned the parts of the eye, pupil, iris, eye lid (like windshield wipers to keep them clean), eye lashes, and reflection of light. We talk about the light source, and how the reflection should be a rectangle if its a window. I took a picture of a student and we looked at his eyes up close. I showed them how you can change the color in Photoshop. Then they used oil pastels to draw eyes! Kinder-2nd made these mermaid drawings with sparkly paper tails! I wish I could have photographed more of them, they were so cute! When we came back from MLK Holiday we talked a lot about Civil Rights, Equality, and watched a video of MLK Jr. giving his I have a dream speech. We made these crayon resist paintings and students wrote words around them like freedom, equality, peace, love, tolerance..
Love the heart weavings! I was actually going to do those today with my art enrichment students and then school was let out for snow... Oh well. They look beautiful! !